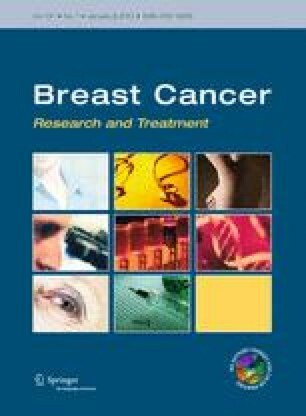 The widespread use of trastuzumab in the past decade has led to a significant and measureable improvement in the survival of patients with human epidermal growth factor receptor-2 (HER2) overexpressing breast cancer, and in many ways has redefined the natural history of this aggressive breast cancer subtype. Historically, survival in patients with HER2-positive disease was dictated by the systemic disease course, and what appears to be the central nervous system (CNS) tropism associated with HER2-amplified tumors was not clinically evident. With improved systemic control and prolonged survival, the incidence of brain metastases has increased, and CNS disease, often in the setting of well-controlled extracranial disease, is proving to be an increasingly important and clinically challenging cause of morbidity and mortality in patients with HER2-positive advanced breast cancer. This review summarizes the known clinical data for the systemic treatment of HER2-positive CNS metastases and includes information about ongoing clinical trials of novel therapies as well as emerging strategies for early detection and prevention. Breast cancer is the second most common solid malignancy that metastasizes to the central nervous system (CNS) . Epidemiologic studies estimate that the incidence of brain metastases (BM) in women with metastatic breast cancer (MBC) is 10–16 % [2, 3], but autopsy reports suggest rates as high as 30 % [2, 4, 5, 6]. Morbidity and mortality of patients with breast cancer is generally driven by extent and progression of non-CNS disease. BM often present late in the disease course, long after development of visceral metastases, and thus, historically have not had a significant impact on overall survival (OS). As a result, finding new treatments that target BM has not been prioritized, and nearly all clinical trials have excluded these patients. However, as patients live longer due to advances in human epidermal growth factor receptor-2 (HER2)-targeted and systemic therapy, it appears that the incidence of BM is increasing, often in the setting of well-controlled systemic disease. As a result, controlling or preventing BM in patients with HER2-amplified MBC has become an increasingly important treatment consideration for oncologists. HER2 overexpression is a well-established risk factor for CNS metastases. Approximately 20–25 % of all breast cancers overexpress HER2, and prior to trastuzumab, HER2-amplified tumors were associated with a more aggressive phenotype and shorter OS than non-amplified tumors . Trastuzumab has redefined the prognosis of HER2-positive disease, and the future for patients with HER2-positive tumors will only improve as promising anti-HER2-targeted agents currently in preclinical and clinical development move into the clinic. Because trastuzumab does not cross the blood–brain barrier (BBB), the CNS serves as a sanctuary for metastatic disease in the setting of sustained extracranial control and improved survival. In addition, BM may be associated with debilitating neurological symptoms such as headaches, motor deficits, and seizures . For these reasons, HER2-positive BM may have an increasing impact on the morbidity and mortality of breast cancer patients. Thus, treatments for HER2-positive BM are a growing unmet clinical need deserving of dedicated clinical trials evaluating novel therapeutics and strategies. This review will discuss BM in HER2-amplified MBC, with detailed discussion of current treatment modalities and investigative approaches. While there are few data directly comparing the incidence of BM in patients with metastatic HER2-positive versus HER2-negative disease, numerous studies have reported high rates of BM in those with HER2-positive disease [9, 10, 11, 12, 13, 14, 15] relative to that described in historical epidemiologic studies where HER2 status was unknown or unavailable [2, 3]. In the registHER study, a prospective observational study of 1,012 patients with newly diagnosed HER2-positive MBC, 37.3 % of patients developed BM at a median follow-up of 29 months . Retrospective studies in patients treated with trastuzumab have reported similar rates, generally ranging from 25 to 48 % [9, 11, 12, 13, 14, 15]. The increased incidence of BM in HER2-positive disease can possibly be attributed to an inherent biologic predisposition. Pestalozzi et al. reviewed data from 9,524 women with early breast cancer from 10 adjuvant clinical trials (1978–1999), none of whom received anthracycline, taxane, or trastuzumab therapy. The 10-year cumulative incidence of CNS as a site of first relapse was higher in patients with HER2-positive versus HER2-negative disease (2.7 vs 1.0 %, P < 0.01) , as was true for the 10-year incidence of CNS recurrence at any time (6.8 vs 3.5 %, P < 0.01). Although only 41 % of patients had HER2 status available (34.3 % were HER2-negative and 6.4 % were HER2-positive), these data suggest that HER2-amplified tumors may have an inherent biologic tropism for the CNS independent of treatment and other prognostic factors. These findings are consistent with 2 smaller studies [17, 18]; Kallioniemi et al. investigated the site of first relapse in 319 patients with trastuzumab-naive breast cancer. HER2-positive tumors metastasized 3 times more often to the lungs, liver, and brain compared with HER2-negative tumors (P = 0.0002) . In a Canadian population-based study of 664 patients with early-stage breast cancer, HER2 overexpression was the most significant independent risk factor for future BM . A higher incidence of CNS metastases was observed in HER2-positive than HER2-negative patients (9 vs 1.9 %, hazard ratio [HR], 4.23; 95 % confidence interval [CI], 1.84–9.74; P = 0.0007) in this study (where few patients [8 %] received trastuzumab) . Taken together, these observational data suggest that HER2-positive cells may exhibit tissue tropism that cannot be explained by circulatory patterns alone. Based on these observations and others, there is interest in identifying molecular signatures predictive of organ-specific metastases [19, 20]. Such gene signatures could facilitate the design of prevention trials by identifying patients at high risk of developing BM, which would allow for the evaluation of prophylactic measures to potentially inhibit or delay metastasis. In addition, there are efforts to develop a gene signature to predict early versus late development of BM in patients with HER2-positive MBC . It has been hypothesized that the incidence of BM in patients with HER2-positive MBC has increased due to the success of trastuzumab therapy. Because trastuzumab does not cross the BBB due to its large size (185 kDa), the CNS may be largely immune to its antitumor effects. Improved systemic control and OS in the setting of poor CNS coverage allows patients to develop BM that would have previously gone undiagnosed due to rapid extracranial disease progression and death in the pre-trastuzumab era. Although retrospective studies have reported conflicting results [15, 22, 23], several studies have supported this hypothesis, reporting an increased frequency of BM in the setting of controlled extracranial disease in patients who receive trastuzumab as first-line therapy for metastatic disease [12, 13, 24]. For example, Burstein et al. demonstrated that approximately 10 % of patients receiving first-line trastuzumab-based regimens had isolated CNS recurrence as a first progression event. Although initial progression at peripheral sites was still more common, patients receiving trastuzumab had a higher incidence of isolated CNS recurrence than those receiving chemotherapy alone . Three large adjuvant trastuzumab trials have reported CNS events. NSABP B-31 and NCCTG N9831 reported a higher incidence of isolated BM as the first site of recurrence in patients randomized to trastuzumab versus control (21 [2.4 %] vs 11 [1.3 %] in trial B-31 and 12 [1.5 %] vs 4 [0.5 %] in trial N9831) , while in the HERA trial, there was no difference in CNS metastases between the 2 treatment arms (1.5 vs 1.3 %) . NSABP B-31 was the only trial to report cumulative incidence of BM (first or subsequent) and showed no significant difference between groups (28 [3.2 %] vs 35 [4.0 %], respectively; P = 0.35) . These data suggest that imbalances in first events are due to improved extracranial systemic control with trastuzumab. Two meta-analyses of the 3 adjuvant trials (including >6,000 patients) reported an increased risk of BM among patients treated with trastuzumab [27, 28]. Similarly, another meta-analysis of >9,000 patients reported an increased risk of BM as the first site of disease recurrence among HER2-positive breast cancer patients treated with adjuvant trastuzumab . Survival of patients with CNS metastases is poor, with 1- and 2-year survival rates of 20 and <2 %, respectively . In the pre-trastuzumab era, evidence suggested shorter OS in patients with HER2-positive than HER2-negative BM ; however, several retrospective studies and 1 prospective observational study reported longer OS and survival after diagnosis of BM in patients with trastuzumab-treated HER2-positive disease versus HER2-negative or HER2-positive patients not receiving trastuzumab. In trastuzumab-treated patients, median survival from diagnosis of CNS metastases has varied across studies, ranging from 12 to 25 months [12, 15, 22, 32, 33, 34, 35]. In a Korean single-center review of patients receiving palliative chemotherapy for HER2-positive MBC, systemic extracranial disease control and lack of progression of extracranial disease for ≥12 months after diagnosis of BM were among the independent prognostic factors for death from CNS disease . Proportions of deaths from BM and extracranial systemic disease in the pre-trastuzumab era were 45.7 versus 37.1 %, respectively (n = 35), and 59.5 versus 11.9 % in trastuzumab-treated patients (n = 42). Historically, BM trials have included patients with various solid tumors. There are few trials testing novel therapies specifically in breast cancer BM, and even fewer solely in patients with HER2-positive disease (Table 1). Other challenges include non-uniform standards of response assessment and difficulty in accessing tissue for definitive diagnosis. Local therapy consisting of surgery followed by whole-brain radiotherapy (WBRT), stereotactic radiosurgery (SRS), or WBRT alone remains the standard of care for initial management of BM due to MBC as well as BM arising from many other primary tumor sites; a full discussion of local therapy control is beyond the scope of this review. The remainder of the review will focus on existing and emerging systemic therapies for HER2-positive BM. Use of standard cytotoxic chemotherapy for the treatment of BM is limited by poor drug penetration across an intact BBB, drug efflux mediated by high expression of P-glycoprotein (PgP) in brain capillary endothelial cells, and development of BM late in the disease course when the tumor is resistant to multiple lines of chemotherapy [8, 36, 37, 38, 39]. Despite this, several agents have demonstrated CNS activity, likely as a result of increased vessel permeability associated with tumor metastases and radiation effects [40, 41]. Evidence suggests both size of metastases  and breast cancer subtype  impact the degree of BBB disruption. An ongoing trial is evaluating the penetrability of various chemotherapeutic and targeted agents, comparing intratumoral and blood drug concentrations in patients with ≥1 resectable breast cancer BM who receive 1 dose of chemotherapy or targeted therapy (trastuzumab or lapatinib) prior to surgery (NCT00795678). In recent years, a limited number of newer chemotherapeutic agents have demonstrated activity in prospective studies of MBC-related BM (Table 2). In general, the most promising agents for CNS disease are agents that are active against breast cancer, regardless of BBB permeability. For example, temozolomide, although relatively permeable, is not very active against breast cancer and has shown limited activity in the CNS [44, 45, 46, 47]. In contrast, cisplatin has shown clinical activity with MBC-associated BM both as a single agent and in combination with other chemotherapies and WBRT [48, 49, 50, 51]. Similarly, there are provocative retrospective data with capecitabine, an agent with well-established efficacy in breast cancer, which has been proposed to cross the BBB via the human concentrative nucleoside transporter (hCNT) [52, 53]. A phase II trial is evaluating capecitabine monotherapy in patients with MBC and CNS progression after WBRT alone or with SRS and no prior systemic therapy for BM (NCT01077726). Phase II trials are also evaluating WBRT ± capecitabine in breast cancer-associated BM (NCT00977379/XERAD, NCT00570908). Although penetration of trastuzumab across an intact BBB is limited, it may be enhanced when the BBB is compromised by radiation, BM, or meningeal carcinomatosis [54, 55]. There are no clinical studies directly examining the impact of trastuzumab on BM; however, retrospective studies suggest improved outcomes in patients developing BM on trastuzumab, who then continue trastuzumab after radiation [34, 35]. Although this benefit is likely due to better systemic control, 1 study reported a trend toward longer time to CNS progression, suggesting a possible direct CNS effect, although this remains controversial . It is unknown whether trastuzumab functions as a radiosensitizer. Trastuzumab has been shown to enhance radiation-induced apoptosis of breast cancer cells in a HER2 level-dependent manner in preclinical studies , but clinical studies are lacking. One small single-arm study of concurrent trastuzumab and WBRT demonstrated safety and activity with a radiographic response rate (RR) of 74 % . Randomized studies of WBRT versus concurrent trastuzumab plus WBRT have not been performed. However, radiation may improve the ability of trastuzumab to cross the BBB. In a study of 6 patients with HER2-positive BM undergoing treatment with trastuzumab and WBRT, the ratio of trastuzumab concentrations in serum and cerebral spinal fluid (CSF) was 420:1 prior to radiation and 76:1 after radiation . It is possible that the efficacy of trastuzumab against intracerebral metastases could be increased with improved delivery across the BBB. This is supported by data demonstrating improved survival with trastuzumab intracerebral microinfusion (ICM) in HER2-positive breast cancer xenografts, without evidence of clinical or histological toxicity, compared to intraperitoneal trastuzumab or ICM with saline . Several case reports, primarily in HER2-positive leptomeningeal disease, have suggested intrathecal trastuzumab demonstrated clinical benefit and was generally well tolerated [59, 60, 61, 62, 63, 64, 65]; however, this remains experimental. A phase I/II trial of intrathecal trastuzumab in patients with HER2-positive leptomeningeal disease is ongoing (NCT01325207). Lapatinib is an oral, reversible, small molecule tyrosine kinase inhibitor (TKI) targeting HER2 and EGFR/HER1 . Lapatinib is approved in combination with capecitabine in patients with HER2-positive trastuzumab-treated MBC , as well as with letrozole in patients with hormone receptor- and HER2-positive advanced disease . Although lapatinib is a small, lipophilic molecule (581 Da) that can cross the BBB, it is a substrate of PgP, breast cancer resistance protein 1 (BCRP1), and other drug efflux proteins. Preclinical studies of PgP and BCRP1 knockout mice treated with lapatinib demonstrate increased brain:plasma lapatinib concentrations (1.2–1.7) compared with wild-type mice (0.03–0.04) . These data may, at least in part, explain the modest CNS clinical activity seen with lapatinib. A pilot phase II trial evaluated lapatinib monotherapy in 39 patients with HER2-positive BM that developed during trastuzumab therapy . This study reported a 2.6 % RR in the CNS per RECIST criteria, which did not meet the prespecified cut off for further investigation. An exploratory analysis suggested that volume change may be a more appropriate primary efficacy endpoint in trials of CNS disease. A multicenter phase II trial evaluated lapatinib monotherapy in 242 patients with HER2-positive BM progressing after trastuzumab and radiation . Enrollment completed in 12 months, reflecting the demand for clinical trials in this population. The primary endpoint was ≥50 % volumetric reduction in the sum of all lesions. Volumetric analysis in 200 patients demonstrated ≥50 % reduction in 6 % of patients and ≥20 % reduction in 21 %. Volumetric reduction was associated with improved progression-free survival; diarrhea (13 %) was the only grade 3 to 4 toxicity affecting ≥5 % of patients. A phase I study is exploring lapatinib plus WBRT in patients with BM from HER2-overexpressing breast cancer (NCT00470847). Fifty patients entered an extension phase testing the combination of lapatinib plus capecitabine at the time of progression . A ≥50 and ≥20 % volume reduction in CNS lesions was observed in 20 and 40 % of patients, respectively. The clinical significance of such a response is not clear; however, an exploratory analysis showed that improvement in time to progression (TTP) was observed in patients with ≥10 % volumetric reduction compared with those with lesser or no reduction (P = 0.04) . In the United Kingdom expanded access program of lapatinib and capecitabine for HER2-positive MBC, 34 patients had CNS disease, the majority of whom had received prior radiation (94 %). CNS response by RECIST criteria was seen in 21 % of patients (including 1 complete response [CR]) . The Korean expanded access program of lapatinib and capecitabine for HER2-positive MBC  and an Italian analysis (2 centers) comparing lapatinib and capecitabine against trastuzumab-based regimens in patients with BM and prior trastuzumab therapy  reported clinical benefit as well. Results from LANDSCAPE, a phase II study to determine if patients with HER2-positive MBC-associated BM who receive lapatinib plus capecitabine can avoid or delay WBRT, support a high CNS RR of 67 % among 43 evaluable patients, with median TTP of 5.5 months and median time to WBRT of 8.3 months . It is important to note that the individual contributions of lapatinib versus capecitabine versus the combination are unknown, as many of these patients had not received prior capecitabine, which appears to have independent CNS activity. A randomized phase II study compared lapatinib plus capecitabine to lapatinib plus topotecan for patients with HER2-positive breast cancer BM progressing after trastuzumab and radiotherapy. Although the study was stopped before full enrollment, CNS activity was noted for lapatinib/capecitabine and not for lapatinib/topotecan . Whether lapatinib monotherapy can decrease the risk of developing CNS metastases is unknown. Clinical data are limited to an exploratory analysis of the phase III registry trial of lapatinib and capecitabine versus capecitabine alone in 399 patients with HER2-positive MBC previously treated with trastuzumab. Significantly fewer patients had symptomatic CNS progression as the first progression event with the combination versus monotherapy (2 vs 6 %; P = 0.045) , but the overall incidence of CNS metastases was not reported . Lapatinib pharmacokinetics data in the CNS are lacking, largely because lapatinib is highly insoluble and cannot be measured in the CSF. Preclinical studies have demonstrated that higher doses of lapatinib can lead to higher concentrations in brain tissue . This is supported by clinical reports showing tolerability, activity, and increased CSF penetration with high-dose HER-family small molecule TKIs in lung cancer patients [79, 80], suggesting that CNS activity of small molecule HER2-targeted therapies may be optimized through alternate dosing strategies. Neratinib, an irreversible oral TKI against HER1/EGFR, HER2, and HER4, has demonstrated activity in trastuzumab-naive and trastuzumab-refractory disease [81, 82, 83], but clinical trials to date have excluded patients with active CNS metastases. A phase II open-label, single-arm study of neratinib in patients with HER2-overexpressing breast cancer with BM is currently recruiting (NCT01494662). The primary endpoint is response based on volumetric assessment. Neratinib concentrations will be measured in the plasma, as well as tumor tissue and CSF in patients undergoing craniotomy. Cognitive function will also be assessed. Afatinib (BIBW 2992), an irreversible ErbB family inhibitor of HER1/EGFR, HER2 , and HER4 , has shown preliminary activity in a phase II study in HER2-positive MBC after failure of trastuzumab, with 4 partial responses (PRs) and 15 patients with stable disease (SD) among 35 evaluable patients . Early clinical data also suggest afatinib may be active against BM, based on a phase I study during which a patient with NSCLC experienced PR of BM with continued afatinib therapy . A phase II study (NCT01441596) comparing the efficacy and safety of afatinib alone, afatinib in combination with vinorelbine, and the investigator’s choice of chemotherapeutic regimen in patients with HER2-overexpressing MBC with BM who have had prior trastuzumab and/or lapatinib therapy is currently recruiting. Pertuzumab (Perjeta™), a HER2-targeted monoclonal antibody, was recently approved in combination with trastuzumab and docetaxel for the treatment of chemotherapy-naive HER2-positive MBC . Currently, there are no data regarding the efficacy of pertuzumab in treating BM; it is expected that the activity will be similar to trastuzumab in terms of its limited ability to cross the BBB. Everolimus (Afinitor®), an inhibitor of mammalian target of rapamycin (mTOR), was recently approved in combination with exemestane for the treatment of postmenopausal women with advanced hormone receptor-positive, HER2-negative breast cancer after treatment failure with letrozole and anastrozole . A phase II, open-label, single-arm study (NCT01305941) of daily everolimus plus weekly vinorelbine and trastuzumab in breast cancer patients with HER2-positive BM is currently recruiting patients. Several novel cytotoxic agents with the ability to cross the BBB have recently been evaluated in patients with BM arising from several solid tumors, including breast cancer. A single-arm, phase II study evaluating the efficacy and safety of sagopilone, an epothilone B analogue and tubulin-stabilizing agent, in 15 breast cancer patients with BM reported that 2 patients (1 with HER2-positive disease) achieved a CNS PR (overall CNS RR, 13.3 %), with a median progression-free survival and OS of 1.4 and 5.3 months, respectively . In a phase I, dose-escalation study, GYN1005, a novel peptide-drug conjugate of paclitaxel covalently linked to angiopep-2, was reported to shrink brain lesions arising from several primary tumor sites, including the breast . Preclinical and clinical data suggest that the aggressive phenotype of HER2-overexpressing breast cancers may be mediated, in part, by upregulation of vascular endothelial growth factor (VEGF), and provide rationale for combining anti-HER2 and anti-VEGF therapies for the treatment of HER2-overexpressing breast cancers [92, 93, 94]. Limited data are available utilizing antiangiogenic therapy for BM, but a case series of 4 patients with CNS metastases (n = 3 brain; n = 1 meningeal) from MBC described 1 CR and 3 PRs with bevacizumab plus paclitaxel . One of the patients who achieved PR of a cerebellar lesion had HER2-positive disease previously treated with chemotherapy/trastuzumab and lapatinib/capecitabine. A phase II trial is evaluating bevacizumab plus carboplatin in patients with progressive BM from MBC (not HER2-positive specific), allowing prior trastuzumab therapy (NCT01004172). Preliminary results from another phase II trial evaluating bevacizumab plus etoposide and cisplatin in breast cancer patients with progressive BM (not HER2-positive specific) after WBRT showed that 9 out of 12 evaluable patients (75 %) achieved a CNS objective response (defined as a ≥50 % reduction in the volumetric sum of all measureable CNS lesions) with 6 patients (50 %) achieving ≥80 % volumetric reduction . Given the increased incidence of BM in HER2-positive MBC, early detection strategies may offer improved outcomes. At this time, there are no data to support early screening for occult BM. In a study of 155 asymptomatic patients with MBC undergoing brain MRI screening for clinical trial participation, 15 % of patients had occult CNS metastases . The authors found no difference in OS between patients with occult metastases detected by screening and patients with symptomatic CNS metastases from a separate cohort. HER2-overexpression was predictive of CNS involvement in multivariate analysis . In a more recent study, 80 patients with HER2-overexpressing MBC without neurologic symptoms were screened for occult BM every 3 months . Occult metastases were detected in 36 % of patients, 90 % of whom received WBRT. Compared with a separate cohort receiving WBRT for symptomatic BM, use of early WBRT decreased the rate of death from BM (16 vs 48 %; P = 0.009) but had no impact on OS (53 vs 51 months, P = 0.944). An ongoing randomized trial is being conducted in women with HER2-positive MBC without neurologic symptoms evaluating gadolinium-enhanced MRI of the brain once every 4 months versus every 12 months for early detection of CNS metastases (NCT00398437); OS is the primary endpoint. Prophylactic cranial irradiation (PCI) with WBRT, which has shown benefit in certain malignancies, does not have an established role in breast cancer . However, a phase I trial of PCI in patients with HER2-positive MBC was recently completed (NCT00916877), and a randomized phase III trial is evaluating a 6-week course of taxane/trastuzumab alone or with concurrent PCI (NCT00639366). Lastly, a phase II trial evaluating temozolomide for the prevention of BM in patients (including HER2-positive) who achieve response or SD for ≥6 months with first-line chemotherapy for MBC was recently terminated due to poor accrual (NCT00638963/Study P05225). The field of HER2-positive breast cancer is among the most active areas of breast cancer research today. As a result, numerous novel HER2-targeted agents are in various phases of clinical development, many of which have shown promising clinical activity with regard to systemic control. Thus, CNS metastases will likely be an increasingly common occurrence for patients with HER2-positive MBC, leading to the need to find effective strategies for the treatment, management, and prevention of CNS disease. The future for patients with HER2-positive breast cancer is bright; however, clinical and research efforts must focus on ways to target and penetrate the BBB. This will require dedicated clinical trials for patients with active CNS disease, including trials of novel drugs, alternate modes of treatment delivery, and multimodality therapies. This work was written by the authors and supported by Boehringer Ingelheim Pharmaceuticals, Inc (BIPI). Editorial assistance was provided by Laurie Orloski, PharmD, of MedErgy, which was contracted by BIPI for these services. The authors were fully responsible for all content and editorial decisions and received no compensation related to the development of the manuscript. The University of California has received funding from Genentech/Roche and GlaxoSmithKline to support research led by Dr Rugo. Dr Chien has no potential conflicts to disclose.